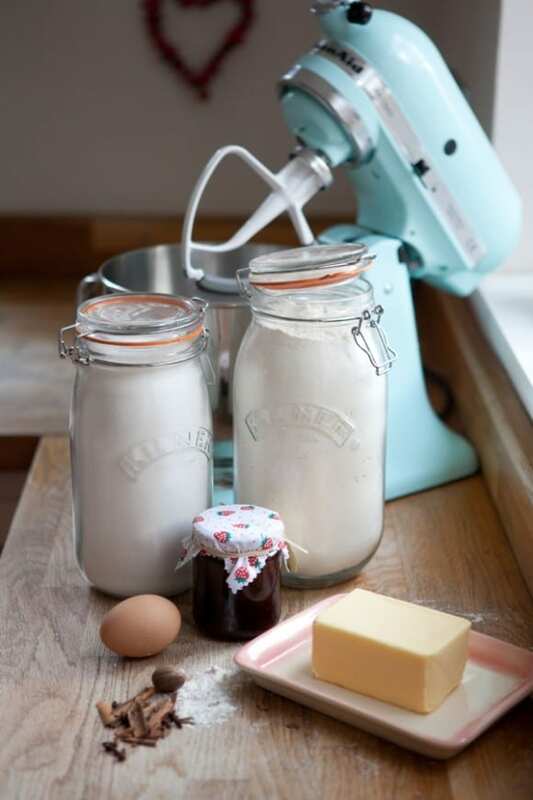 I'm so happy to introduce our new baking contributors from across the pond, Rebecca and Rosie, from Honeywell Bakes! I just love having a little British flair on our site. 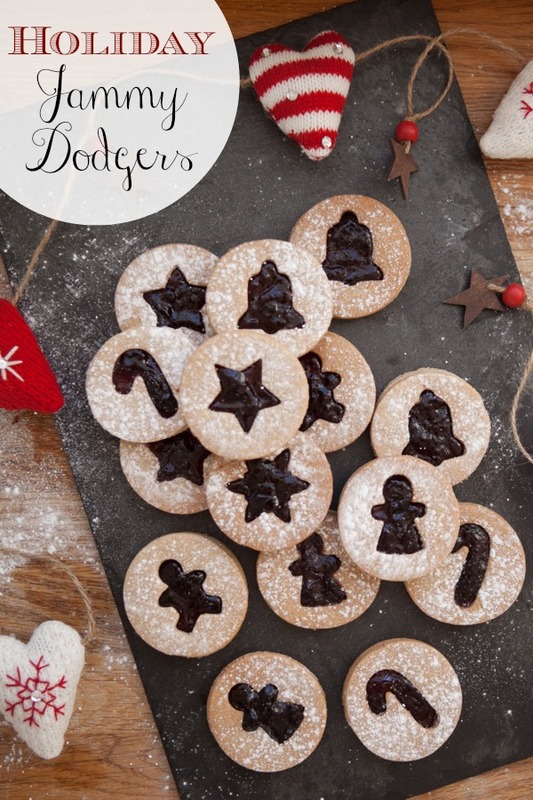 For their first recipe, Rebecca and Rosie are sharing these beautiful jammy dodgers (shortbread cookies filled with jam). 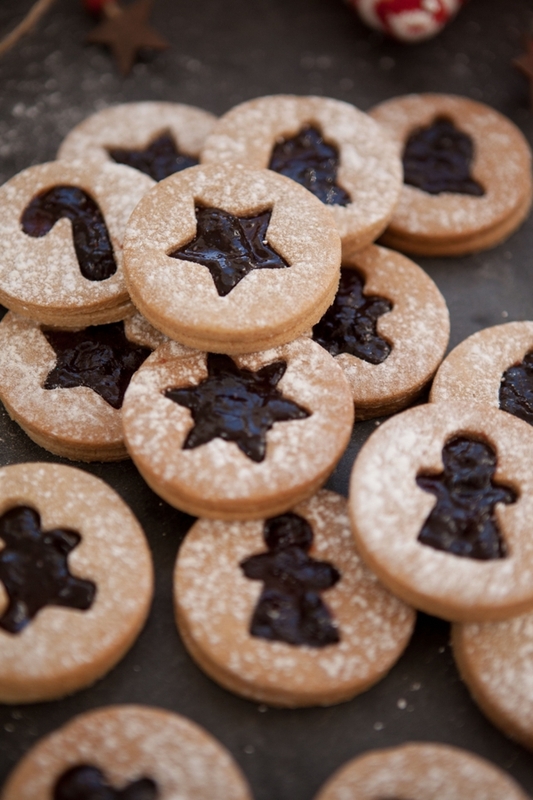 Wouldn't they be yummy to serve at Christmas? Preheat oven to 1800C/3500F . Cream butter and sugar, then add the egg and mix until well combined. 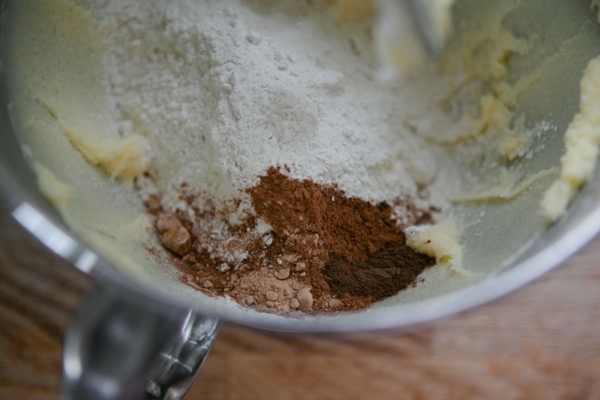 Add the flour, cinnamon, nutmeg and allspice and mix slowly until a soft dough is formed. 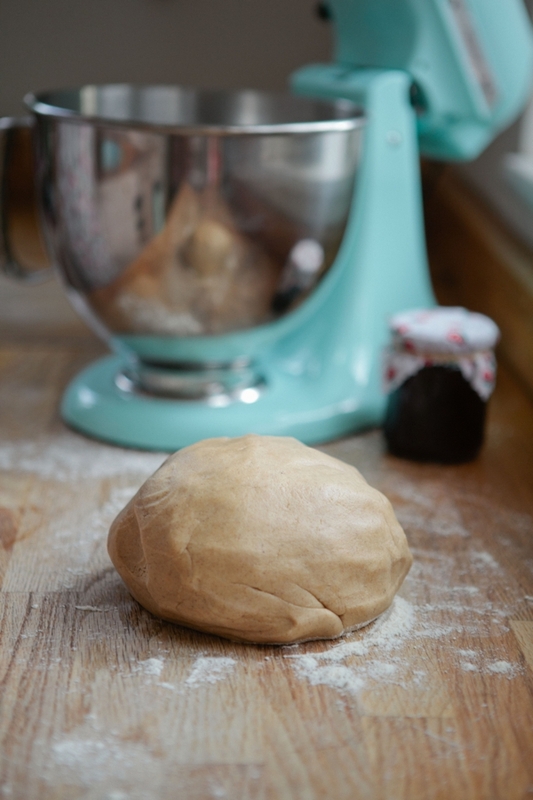 Knead gently on a floured surface to form a round ball. Wrap in cling film (saran wrap) and refrigerate for an hour. Sprinkle flour on your work surface and split the dough into two balls. Roll one ball out thinly, to about 3mm thick. Cut out circles and place on a baking tray lined with baking parchment. 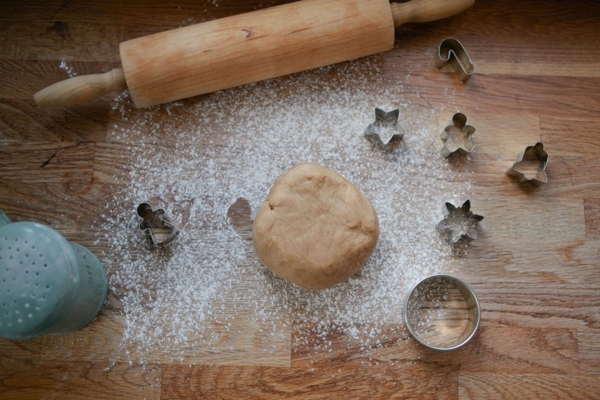 Pick up the scraps and knead to form a ball, and repeat until you’ve used all of your dough. 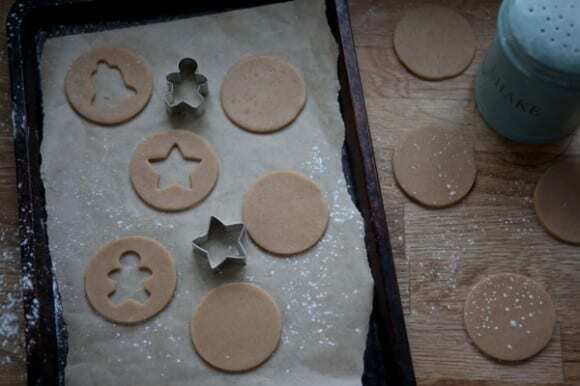 Now, using smaller Christmas themed cookie cutters, cut out shapes from the middle of half of the biscuits (cookies), whilst on your baking tray. This will stop the shapes from distorting which can happen if you move your biscuits (cookies) after you cut the middle shape. Bake for 10-12 minutes, or until lightly golden. Don’t overcook, they should be a very light brown colour. 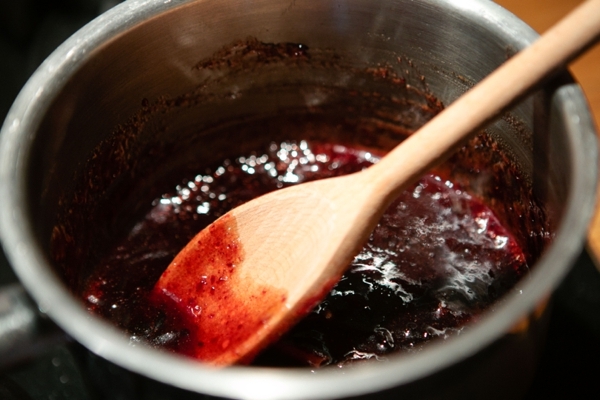 Place the jam in a small saucepan with the cinnamon stick, allspice and cloves. Gently bring to a boil over a low heat, stirring all the time. Simmer for a couple of minutes, then take the pan off the heat and allow to cool. Once cool, remove the cinnamon stick. (Tip: if you’re feeling lazy, you can skip this step and just use your favourite jam as it is. 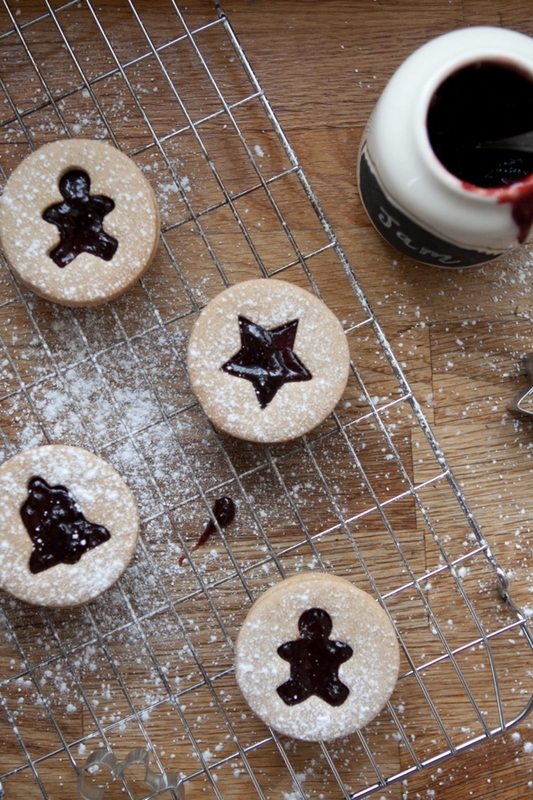 They will still be yummy, but not quite so Christmassy!). 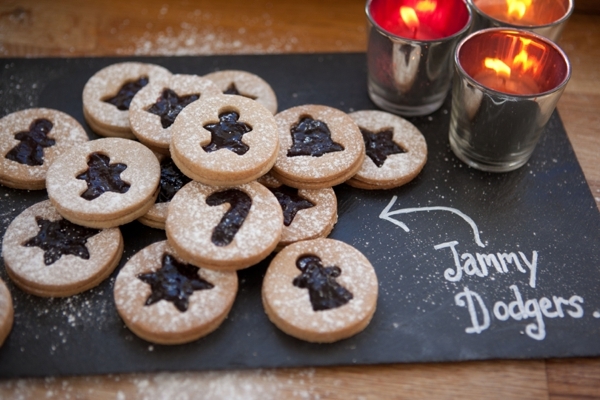 Put a teaspoon of jam on each biscuit (cookie) circle, and place a biscuit (cookie) with a shape cut of it on top. Arrange so the jam fills the shape. Dust with powdered sugar. Allow the jam to set, then keep in an airtight tin. 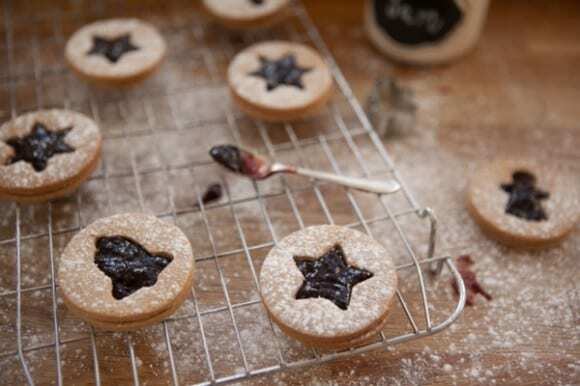 They will last about a week (if you can resist them!). Thank you, Rebecca and Rosie, your cookies look scrumptious! To learn more about Honeywell Bakes, please visit their site, shop, and Facebook page. Welcome Rebecca and Rosie! Great recipe! Roll one ball out thinly, to about 3mm thick. 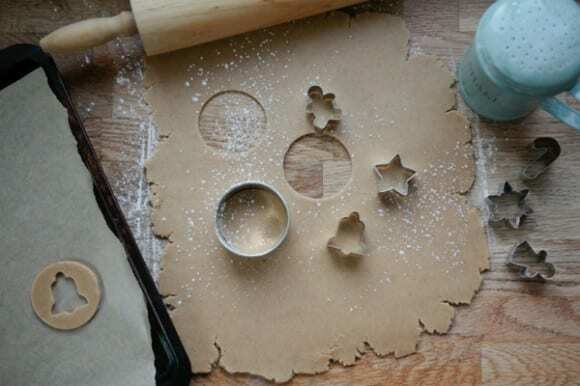 Cut out circles and place on a baking tray lined with baking parchment. 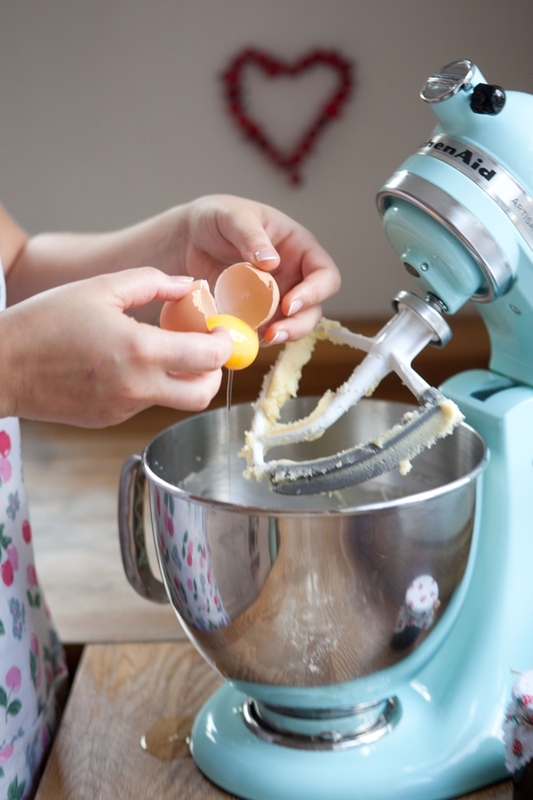 Pick up the scraps and knead to form a ball, and repeat until youíve used all of your dough. Bake for 10-12 minutes, or until lightly golden. Donít overcook, they should be a very light brown colour. Place the jam in a small saucepan with the cinnamon stick, allspice and cloves. Gently bring to a boil over a low heat, stirring all the time. Simmer for a couple of minutes, then take the pan off the heat and allow to cool. Once cool, remove the cinnamon stick. (Tip: if youíre feeling lazy, you can skip this step and just use your favourite jam as it is. 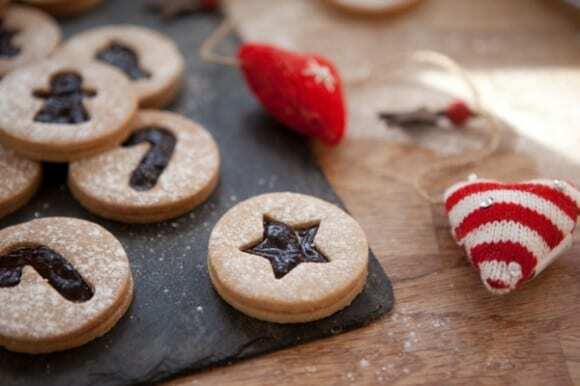 They will still be yummy, but not quite so Christmassy! ).